which parted and came to rest on each of them. All were filled with the Holy Spirit." The Charismatic Renewal invites all people to experience the Holy Spirit who opens us to a life-changing relationship with Jesus Christ and the love of the Father. The Holy Spirit empowers us for personal holiness, renewed Catholic life, and evangelization. Father Richard Rice continues to serve the Charismatic Renewal in Maine through his support of individuals and groups involved in the Renewal with healing services at parishes in our diocese and by coordinating updates for the Charismatic Renewal page of our website. He was the diocesan liaison between Bishop Robert P. Deeley and Charismatic Renewal in the state of Maine for many years. The two international bodies that had been supporting and coordinating the international activities of Charismatic Catholics will become one new organization. “Charis” will take over the roles previously played by the International Catholic Charismatic Renewal Service and the Catholic Fraternity of Charismatic Covenant Communities and Fellowships, the Vatican announced in 2018. The Dicastery for Laity, the Family and Life, which certifies international Catholic lay organizations, said Charis began operating in December 2018. Announcing the new body, the dicastery said that its ecclesiastical adviser would be Capuchin Father Raniero Cantalamessa, the preacher of the papal household. For more information, visit the official Charis website. Our diocese has supported the Catholic Charismatic Renewal since its inception more than 50 years ago. It is our prayer that Charis will lay the foundation for something new for the Renewal in Maine and show the ways to a renewed life in God, the Holy Spirit. “Though people may promise to change things, it is the third person of the Holy Trinity that creates real change through the reinvigoration and renewal of hearts,” Pope Francis said on Pentecost Sunday. “Plenty of people promise change, new beginnings, prodigious renewals, but experience teaches us that no earthly attempt to change reality can ever completely satisfy the human heart,” the pope said May 20. Speaking during Mass in St. Peter’s Basilica for the Solemnity of Pentecost, Pope Francis noted that when Catholics want to bring about real change in their lives, they should pray to the Holy Spirit. “Who among us does not need a change? Particularly when we are downcast, wearied by life’s burdens, oppressed by our own weakness, at those times when it is hard to keep going and loving seems impossible,” the pope said. 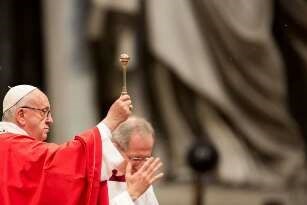 “He is the divine force that changes the world,” Francis stated. After Mass, Pope Francis led the Regina Coeli in St. Peter’s Square, where he also prayed for Jerusalem, saying he was spiritually united to a prayer vigil which took place May 19 in Jerusalem for Jews, Christians, and Muslims. “Today we continue to invoke the Holy Spirit to inspire the will and gestures of dialogue and reconciliation in the Holy Land and Middle East,” he said. He also spoke about his “beloved Venezuela,” asking the Holy Spirit to give the Venezuelan people – citizens and political leaders – “the wisdom to meet the path of peace and unity,” and prayed for the 11 prisoners who died Saturday during a prison riot. “Charis” will take over the roles previously played by the International Catholic Charismatic Renewal Service and the Catholic Fraternity of Charismatic Covenant Communities and Fellowships. and give practical wisdom with a particular emphasis on strengthening leaders and leader formation. It can be downloaded at the NSC website (scroll down to Pentecost Today at link above). A 14-part series centering on the Holy Spirit is available for streaming. The “Wild Goose” was a term that the ancient Celts had for the Holy Spirit. Discover the immense power and beauty of the unconditional love of God that is the Holy Spirit. Each segment is about 30 minutes long and includes: God’s Love Poured Out, Breath of God, Baptism in the Holy Spirit, The Spirit and Our Lady, Gifts of the Holy Spirit, The Spirit and the Eucharist, The Spirit of Adoption, The Spirit of the Sacraments, Fruits of the Holy Spirit, The Spirit and the Desert, The Spirit Convicts, The Spirit’s Freedom, The Spirit Gives Witness, The Spirit Remembers. Fr. Dave Pivonka, TOR, is a nationally known author and speaker dedicated to helping others come to know God’s love for them through preaching and writing. Fr. 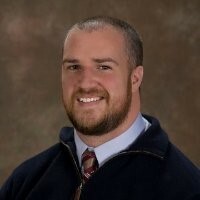 Pivonka has held several ministry positions at Franciscan University of Steubenville.  Click the link above to view an article by John Beaulieu, who works in the Christian Outreach Office at Franciscan University, entitled "Charismatic Renewal and Young Adults." Beaulieu discusses the relationship between young adults, the Catholic Church, and the great hope this demographic holds for the Church. He also details the challenges facing the Church in reaching this group as it tries to present the fullness of the faith in a way that is "transformative and transcendent and empowering for young people to live the faith." 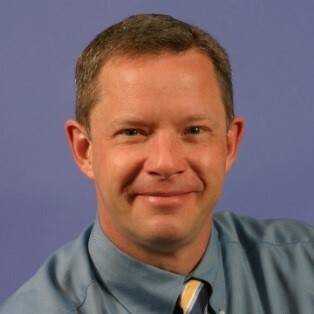 Beaulieu developed his passion for ministry while traveling as a missionary with NET ministries. During his thirty years of ministry, he has spoken to thousands of teens and adults each year at parish, diocesan and national events. John lives in Steubenville, Ohio, with his wife Lisa and their five children. Meet Dave VanVickle, the young adult coordinator for the Catholic Charismatic Renewal's National Service Committee. Dave VanVickle is the Young Adult Coordinator for the National Service Committee of Catholic Charismatic Renewal. He is married and has four children, and is currently the Director of Evangelization for a parish in Pittsburgh. 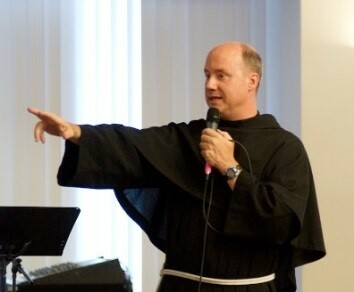 He grew up in the Community of God’s Delight in Dallas, Texas, and a graduate of Franciscan University of Steubenville. On campus, he was active in the Charismatic Renewal there. He is a gifted speaker who loves to evangelize and to bring the power of the Holy Spirit to all that God puts in his path. The work of the young adult coordinator is to network with already existing ministries reaching young adults in the power of the Holy Spirit, and to serve the Renewal with new initiatives to reach out to young adults.